This certificate documents the marriage of Gregorius (Gergely) Édes from Madar to Eva György from Comarom (Komárom) in 1724. He was 25 and she was 24. One of the witnesses to the wedding was Gyorgius Édes perhaps a brother. 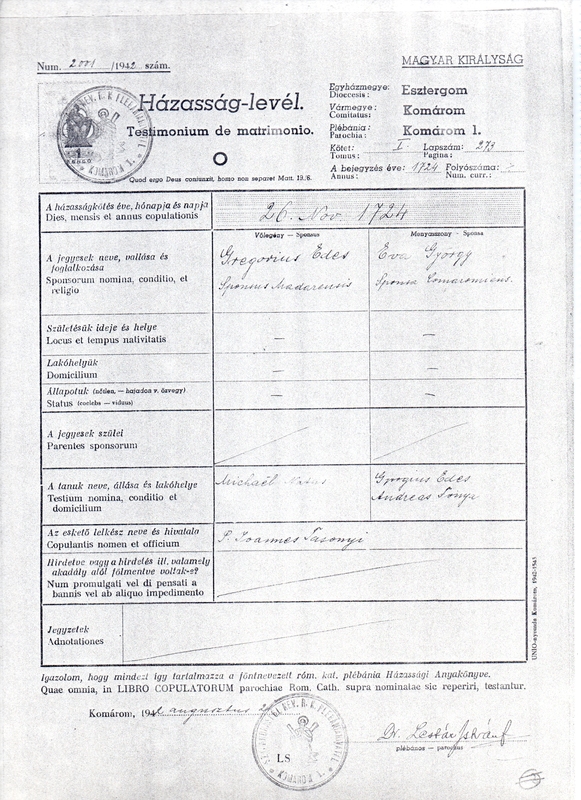 Until sometime in the 1800s birth records were retained by the Catholic church regardless of religion, and were written in Latin. These records did not follow the Hungarian convention of listing surname first. Also given names were recorded as the Latin version. Available records show that they had two daughters, Judith in 1733 and Susana in 1735. A son István was born in 1737 but died as a baby. 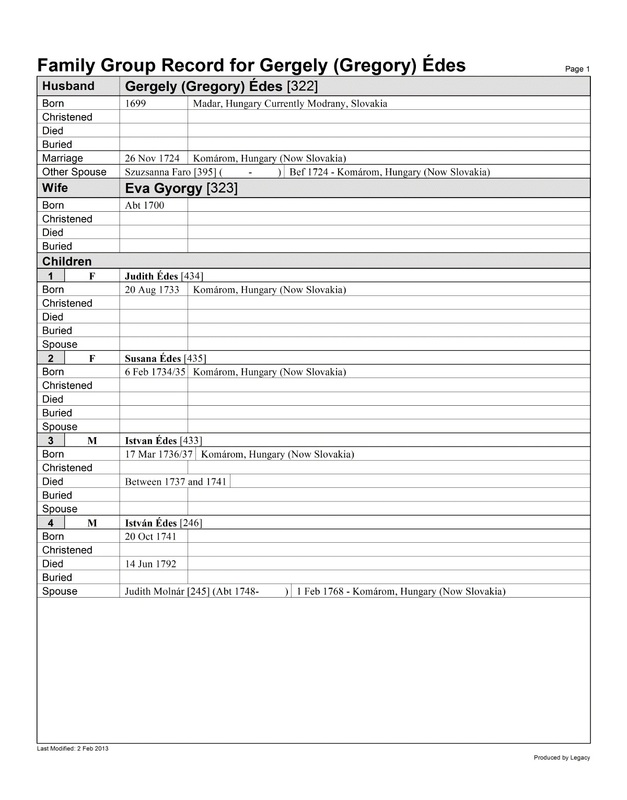 A second son born in 1741 was named István who was our direct-line ancestor. It was not uncommon after a baby died to reuse the name for a later baby.